Before we jump into today’s ChessBase 11 article, please allow me to mention that USCFSales is closed today (Friday 4/29) because of the tornado activity in Alabama. Our facility was undamaged and all of our staff members are safe, but much of Northern Alabama (including Madison, where our company is located) is presently without electrical power. We apologize for any inconvenience to our friends and customers. Being as I’m located in Maryland, I’ve still got juice here and am able to offer today’s bit of advice which is directly related to my previous blog post. Yeah, just like that one. How’s it done? First off, I’m going to take a big leap of faith here and make an assumption: if you’re writing a book or a webpage/blog, I’m going to assume that you know already know the bare-bones basics of using the word processing and graphics editing programs of your choice. In short, there’s no way I can write a specific step-by-step tutorial for every text and graphics editor out there, or else this post will be endless. 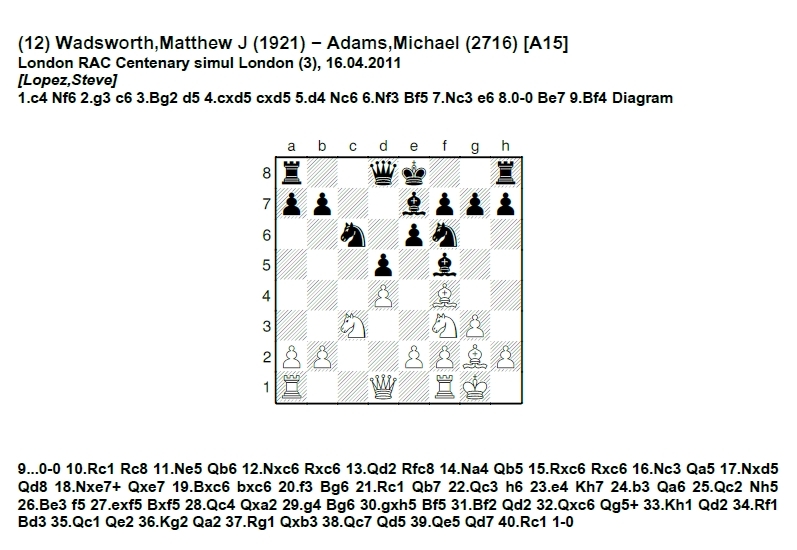 I will show you some ChessBase commands to create these diagrams and offer a generic process (and maybe perhaps one specific example) of how to make this stuff work in outside software applications. If you need a diagram for a web page or blog, the process is really easy. 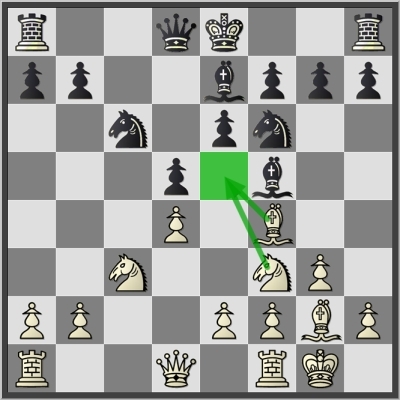 With the proper board position (the one for which you want a diagram) showing on the chessboard in CB11, go to the Home menu and the “Clipboard” portion of the ribbon, then select “Copy position”. Now it’ll seem like nothing has happened – you won’t get a popup or any kind of message. Trust me, though: something happened. The position (in full glorious color) has been copied to your Windows Clipboard, where it breathlessly awaits our next step. Open the graphics editing software of your personal choice and hit CTRL-V – you should see your board position appear (and, if it doesn’t, use the “Paste” command which is almost always found under the “Edit” menu in typical graphics programs to pop the diagram on in there). Now you can change the diagram’s size (if you want) and save it as a graphics file (and most editing programs will give you the choice of file formats, .gif, .jpg, and .png being the “big three” most often used for this Interwebs stuff). That’s exactly how I created the chessboard graphic shown earlier in this post. I just clicked “Copy position”, opened my graphics editor, pasted it in, resized it (to 400×400 pixels so it would fit nicely on my blog’s page), and saved it as a .jpg file. Simple. But what if you’re writing for print publication? How do you get a color diagram into your document? 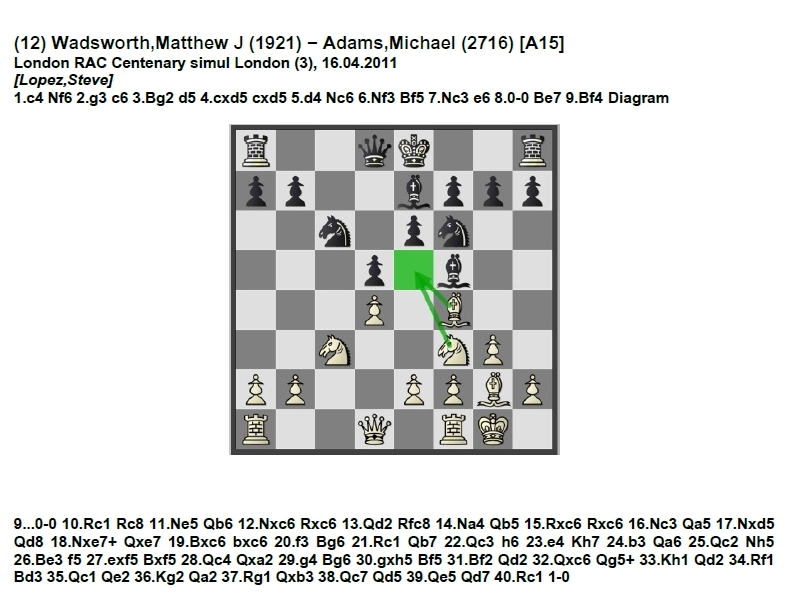 First, in ChessBase 11, I need to mark the position where a diagram should appear (and we’ve covered this before: right-click on the move and select “Insert diagram” from the popup menu). Then I go to the Application Menu (that round button in the upper left-hand corner of the game window), select “Save”, and then “Replace” (from the submenu). Now (without going through a ton of “ins and outs” here, so that this post will remain somewhat shorter than Ben Hur), I select “RTF” (Rich Text Format) as the file format, set my diagram options under the “RTF” tab, click “OK”, then save the RTF file of this game to my hard drive. I can then just open this file in my word processor and cut and paste the whole game and diagram into my book, article, document, etc. The diagram as given is nice enough, but it doesn’t show the colored arrows and square from my .jpg version of the same position. How do I jazz up this diagram? After I cut and paste the game and diagram into my chess book/article/other document, the next step is to go back to ChessBase 11. I’ll save the board position (with the colored arrows and squares) as a separate diagram file, using exactly the same procedure as described above for diagrams intended for the Internet. Once that board diagram is saved as a separate file, I’ll just replace the black and white diagram in the RTF with my color jpg file. Here’s where the example comes in (and note that this is just an example; for specific instructions, please consult the documentation for whichever word processing/text editing software you’re using). 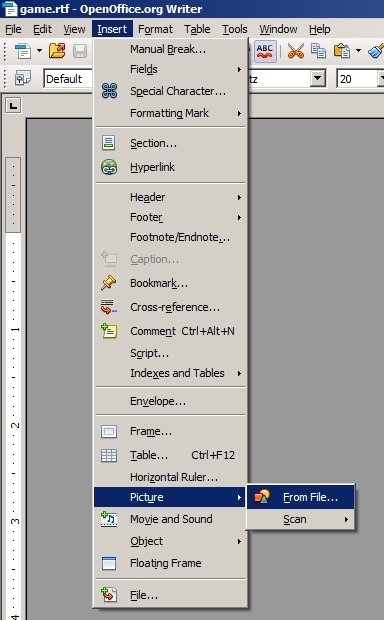 In OpenOffice (which is what I use for writing documents), I’d just highlight the black and white diagram, go to the Insert menu, select “Picture”, and “From File” in the submenu. …until I learn that my publisher doesn’t want any color illustrations in the book I’m writing. But that’s a whole separate story. 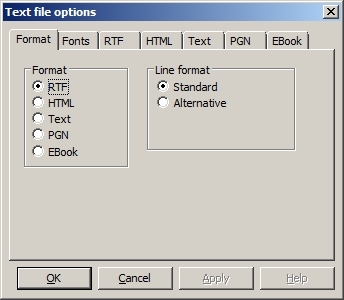 The Print commands are in the File menu when you’re viewing a game [File/Print, and the various commands are in the submenu which opens off to the side]. Other than the different location of the commands in CB Reader compared to CB11, the functions are esentially the same. If they’re grayed out or not working, it means your version of the Reader doesn’t support printing.